Holidays, This will be the last Friday Tech Tip of 2015. Congratulations on making it through the first semester. Last week I blogged about Star Wars Text. Alicia Coughlin at Coile used this for a Digital Opener. You can check it out HERE. Great job Alicia! I'm a huge Star Wars Fan. Next weekend cannot get here soon enough to be reunited with my 1980s buddies Han Solo and Luke Skywalker. My goal from ages 6-12 was to make the Kessle run in under 12 parcecs That's my level of Star Wars Geekiness. Your students may be excited as well (maybe not) but Classtools.net has a great tool where students can insert text to make the Star Wars opening title complete with theme music! Students can go back and edit the scripts at a later time. This might be a good activating or closing strategy in your classroom. If you have questions about how to use this let me know.Have a great weekend! This week Google Read and Write has announced some new features that may be beneficial to you and your students. 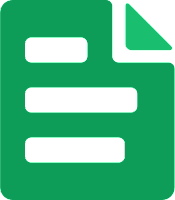 ScreenReader - Students can highlight text in a google slide OR webpage and the screen reader will read aloud ONLY what is in the box. Previously, it would read until you pressed stop (See directions belowSpeech Input is now integrated with Google Voice TypingSpanish has been added as a language tool. It’s still in Beta, but it’s an option to try out.Steve Piazza has put together the following tutorial (see below). Please let me know if you have questions. Google Read and Write is a tool that all students in Clarke County can access. Please let me know if you have questions. 1. Screenshot Reader (highlight text on a webpage and it reads the words aloud). In the above clip, where you see the moving highlight, the text is being read aloud. Happy Friday before Thanksgiving! I hope everyone has a relaxing break. I have had several requests this fall for resources for making Word Clouds. Word Clouds are great because students can see what words they are using often or make great visuals with their writing. With the Word Cloud Add on For Google Docs Students can now make word clouds straight from their google docs! Click on Add ons - Search for Word Cloud Generator - and add it. When students are finished all they do is click on the word Cloud Generator button and it will create a word cloud for them. Students can screenshot the image and save the picture to their Google Drive. I have created an animation below to demonstrate how you and your students can create wordclouds. If you have questions about using the Word Cloud Generator Please let me know. Have a great Thanksgiving Break! Last week I learned about s site where students and teachers can create and view amazing images from around the world. Gigapan is a s technology where photographers can take 360X360 images and stitch those together to make interactive high resolution pictures (See below). Students can zoom in on these images to explore the area. Thinking about the SAM-R model this would be a good source to Modify lessons where students are evaluating or analyzing geographic regions, famous places, or events. Happy Friday everyone! I've had a few emails over the last week about the new Youtube Changes. We've been working to come up with a way to limit some of the things are students are doing on Youtube. Now, students are able to view limited videos that are approved as education or videos that have been approved by a teacher. When you Approve a video it is approved for everyone in the district. I have created a screencast below walking through the process of signing into Youtube and also approving a video. If you have questions please let me know. Have you ever wondered what it would be like if there were Google Docs and collaborative typing in our American History? Maybe not, but now you can replicate it with Google Story Builder. Google Story Builder is a tool where students can write from the point of view of different characters or historical figures as if they were writing in a Google Document. I like this idea because it challenges our students to think differently about how things might have happened in the past if there were collaborative tools in place. For instance, I made the Google Story builder below about Lewis and Clark being charged to explore the Louisiana Purchase. 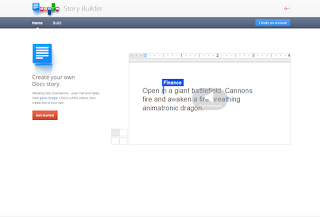 You can find out more about Google Story Builder by going HERE (Click on here). If you have questions please let me know. This is an example of one that I built. I hope you have a great weekend. Google Maps offers students and teacher the ability to create their own custom made maps. There have been lots of changes in Google Apps for Education in the last 6 weeks. Everything from new themes in Google Slides, Changes and enhancement to Google Classroom to Voice Typing! I have tried to highlight some of these changes with you in PL or during planning periods. HERE is a comprehensive list of all the changes and enhancements that have happened over the last 6 weeks. (You can also click on the picture to the left). If you have questions please feel free to e-mail or ask me in person. Also, as I am buildings I've seen many of you starting to use Lanschool. If you have questions about lanschool or need help setting it up please let me know. I think that Lanschool is a great way to monitor our students on their digital devices. Finally, I often get asked, "Clint what day are you here?" or even more important "What day is it?" These are also to questions that I ask myself on a daily basis. My schedule is as followed. Do you have a video that you found on Youtube that you want to show your class? Problem is that the video is 12 minutes but you only want to show from five minutes on? For instance, I only want to show part of a Kahn Academy video but not the whole thing. You can now pick where you want the video to play. By clicking the share button you can adjust the time. (See video below). Sometimes, this may not work if you are inserting the video into a Google Presentation or hosting the video on your website. If you copy the new link and paste the link into a new document, slide, or e-mail it will work. Your students can watch the video right where you would like it to start. If you have questions about this or any other techtip please let me know. Take Care, Stay Dry, and GO DAWGS! I wanted to share with you 2 chrome extensions that can be benificial with Google Classroom. You might be asking yourself "What is an Extension?" Extensions are small software programs that can modify and enhance your Chrome browser. You Can find these extensions in the Google Chrome Store. Students can also access the Chrome Store but they are only allowed to install extensions that are whitelisted for Clarke County School District. There are 2 extensions that can be beneficial for those of you using Google Classroom. Happy Friday everybody! This is not a long blog post but I think it is a pretty good one. Google for Education has created a really nice interactive graphic on how students can take ownership of their Google Apps account. Here is a picture of the webpage. Students and teachers can click on each box to get more information about the particular Google App. There is everything on here from learing how to organize your Drive to finding resources to code your own program. You can find this webpage HERE (Click on the Blue uppercase Here). Thanks and let me know if you have questions. Have a great Weekend! Teachers, if you would like to experiment with Read and Write for Google you can download a version for free HERE. Happy Friday everyone. . . . . . I know everyone is looking forward to the 3 day weekend. I hope everyone enjoys getting a chance to do what they love and rest from your Labors. I also like Labor Day because that means that I've made it through almost one whole month of school. If this is your first year teaching, Congrats. You made it through August. That was easy right? 1 down 9 to go. On Monday I will be teaming up with our County ESOL Specialist David Forker to deliver Professional Learning on Digital Formative Assessment. David and I met this week and began planning for our PL sessions and had a great discussion about best practices for integrating digital formative assessments into the classroom. We also found a great youtube from the early 90s on how to connect to the internet. So if you are in our PL on Monday be ready . . . Here are top 3 ways to use technology tools for formative assessment. 1. Google Forms - Google forms are a great way to collect any type of data. You can use Google Forms to create quizzes, create sign up/sign in sheets, a way for students to submit homework or class work. You can insert videos, and pictures into your quizzes. Once students submit on a form you can see the date and time that they submitted, and even use add ons such as flubaroo to grade the quiz. Thanks for checking out my new blog. If you didn't know, part of having a Google Account is that you can create a FREE blog for yourself or your class with blogger. I started this because several of the teachers in my buildings who have moved to other schools said, "Hey Winter, can you still E-mail me your Friday Tech Tip" which made me think, "I should house these some were if people want to go back and look for them." So, I decided to create my own blog which I decided to name, wait for it, "The Friday Tech Tip" and I will update it on Fridays. I will still e-mail my schools on Friday and say hey its updated but if you don't have time or want to go back and look for a resource this is the place.